Darryl Lem Willis obituary. Carnes Funeral Home. Darryl Lem Willis passed away at 12:36 PM on Monday, February 1, 2016 in Angleton, Texas at the age of 65. Darryl was born March 8, 1950 in Cordell, Oklahoma to parents Shirley and Leona Willis. He graduated from Cordell High School in 1968 and shortly after moved to California. Darryl “Papaw” Willis was a family man who loved to ride and repair Harley Davidson Motorcycles. He also loved to spend quality time with his sweet wife, family and favorite dog Rollie. He will be remembered for his great sense of humor and crazy hitchhiking stories. Darryl is preceded in death by his father, Shirley Willis, nephew Joey Lee and father-in-law Eddie Foley. Left to cherish his legacy is his wife of 38 years Debbie Willis, mother, Leona Willis, daughter Delia Willis Young, son, Jeramie Lee Willis and wife, Rachel; along with daughter Melissa Ann Rodriguez and her husband, Tido. Darryl is survived by his siblings: Gary Willis and wife Ann, Tricia Kenney and husband Max, along with Peggy Lee and husband Jack. 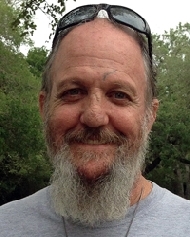 Darryl is also survived by nephews: Chris Willis, Michael Dodd, Clint Goetz and Shawn Foley; nieces: Jennifer Lee, Christie Perez, Charlotte Sterling, Connie Wiggins; grandchildren: Matthew Young, Conner Willis and Ava Rodriguez. Memorial Services will be held at Second Baptist Church at 1817 Shanks Rd, Angleton, TX 77515 at 1 PM on Thursday, February 4, 2016. In lieu of flowers, donations may be made to The Willis Family.